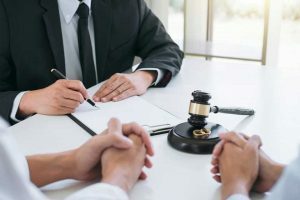 Litigation is the traditional divorce process where both parties hire divorce attorneys who provide legal advice and represent their client in negotiations and court hearings. Each divorce attorney advocates positions based on the personal wants, needs and viewpoints of their client. The process may involve the use of formal legal procedures, known as “discovery,” to obtain financial and other relevant information. Discovery may include the use of depositions (a formal taking of testimony before a court reporter) and the subpoenaing of documents or other material believed to be relevant to the issues. Each party may also hire experts to support their positions. These experts may include psychologists, real estate and personal property appraisers, business valuation specialists, accountants and others. The direction of the case is controlled by the divorce attorneys and the parties. Most cases have a very good likelihood of reaching an amicable resolution without the parties having to go to court. If the case does not settle, any remaining issues will be heard and resolved by the judge or an agreed private judge to resolve these issues. The goal of Collaborative Practice is to come to a mutually acceptable, negotiated settlement between two parties without the threat of going to court. In this practice, each of the parties retains their own collaborative divorce attorney who will gather information, provide education on rights, responsibilities and options, and negotiate on their behalf. At the center of Collaborative Practice are the needs of the entire family, especially the children’s. With collaborative practice, conflict is kept to a minimum so all family members can move on positively with their lives. Collaborative Practice is a good choice when each party prefers to have his or her own independent attorney guide them through the legal process. 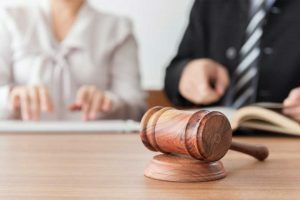 If the participants ultimately are unable to agree, the collaborative divorce attorneys withdraw and litigation attorneys can be retained to take the matter to court. Divorce Mediation is a voluntary process through which you make decisions together with your spouse based on an understanding of your views, your spouse’s views, and the reality you face. A mediator facilitates your discussions but does not give advice or make decisions. The divorce mediator may, however, make suggestions as to how the various disputed issues can be resolved and what the process would be if the matter were litigated. The parties meet with the divorce mediator to identify issues, complete exchanges of information, and use non-adversarial problem-solving techniques to come to an agreement. The parties can be supported in their decision-making by their own advising lawyer and other professionals such as, valuation experts, financial planners, accountants, and mental health professionals.